DULLES, Va.March 27, 2007--Orbital Sciences Corporation (NYSE:ORB) announced today that its Minotaur II rocket was successfully launched for the U.S. Air Force Space and Missile Systems Center (SMC) in support of advanced sensor testing by the Missile Defense Agency (MDA). The mission was conducted on Tuesday, March 20, 2007, from Vandenberg Air Force Base (VAFB), California. The Air Force program office for Minotaur II is the 3rd Space Test Squadron of the Space Development and Test Wing (SDTW) at Kirtland Air Force Base, New Mexico. This mission was the sixth for the Minotaur II Target Launch Vehicle (TLV) and the 12th for the Minotaur family, all of which have been successful. 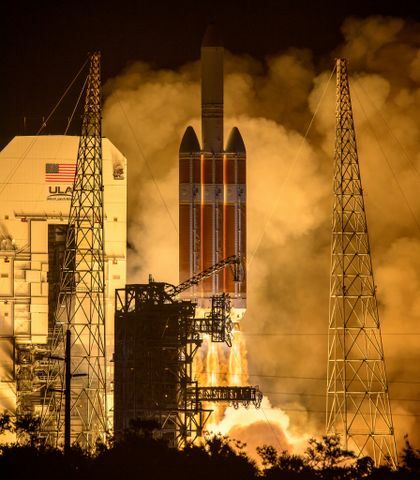 The launch originated from VAFB at approximately 9:27 p.m. (PDT) on March 20. The vehicle's three solid rocket motors burned for approximately three minutes, putting it on a trajectory to a precise aim point nearly 4,000 nautical miles to the west over the Pacific Ocean. The vehicle was observed by a variety of MDA sensors deployed across the Pacific. Orbital is one of the country's leading suppliers of launch vehicles used in missile defense applications. 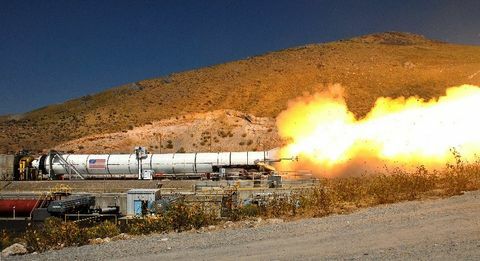 In addition to numerous configurations of target vehicles, Orbital is also designing and building the interceptor boosters for two major missile defense programs, including the Ground-based Midcourse Defense (GMD) system, which uses the company's three-stage Orbital Boost Vehicle (OBV), and the Kinetic Energy Interceptors (KEI) program, which is designed to intercept and destroy enemy missiles in the early boost phase of flight. These interceptors are part of a layered missile defense system for defending the nation, our armed forces and our allies against ballistic missile attacks. Orbital's Minotaur product line was developed under the U.S. Air Force's Orbital/Suborbital Program (OSP). The initial five-year OSP contract was competitively awarded to Orbital in 1997 and the company also won the follow-on 10-year OSP-2 contract in 2003. The Minotaur II target launch vehicle design used in the recent launch is one of the two original members of Orbital's growing family of Minotaur launch vehicles, which includes both space launch vehicles and long-range suborbital vehicles for missile defense and other specialized launch missions. Prior to this mission, the most recent launch of the Minotaur family was in December 2006 when a Minotaur I space launch vehicle (SLV) successfully placed the TacSat-2 spacecraft into orbit from Wallops Island, Virginia in a demonstration of Operationally Responsive Space (ORS) capabilities. The Minotaur II target launch vehicle combines Orbital's state-of-the-art commercial launch vehicle technologies with government-supplied Minuteman II rocket motors to provide cost-effective support of missile defense testing and other suborbital applications. The initial Minotaur II launch took place in May 2000 and all six missions have been in support of missile defense testing. Two additional Minotaur II launches are planned from Vandenberg AFB later in 2007. Over its history, Minotaur II has been shown to be readily adaptable to supporting unique test requirements. It has demonstrated the ability to deploy up to 10 objects, all from different orientations. Minotaur II has been flown with two different front end configurations supporting both fully shrouded and ascent-heated payloads. For the missions planned later in 2007, a third configuration utilizing a larger third stage will be flown that will be observed by the Near Field InfraRed Experiment (NFIRE) spacecraft as its orbit passes near the precisely-controlled target trajectory. The Minotaur launch vehicle product line consists of the only proven launch vehicles currently capable of supporting the Department of Defense's evolving ORS launch requirements, as well as long range target delivery. They are also specifically designed to be capable of launching from all U.S. spaceports, including government and commercial launch sites in Alaska, California, Florida and Virginia. Due to the minimal amount of specialized infrastructure that is required to support Minotaur launches, they can also be employed at other U.S. launch sites. orbit and a December launch of the TacSat-3 spacecraft. U.S. missile defense systems and similar missions. Orbital develops and manufactures small space systems for commercial, civil government and military customers. The company's primary products are satellites and launch vehicles, including low-orbit, geostationary-orbit and planetary spacecraft for communications, remote sensing and scientific missions; ground- and air-launched rockets that deliver satellites into orbit; and missile defense boosters that are used as interceptor and target vehicles. 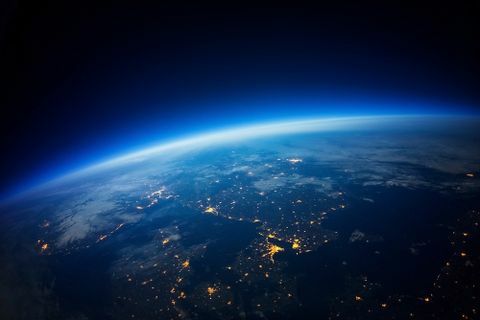 Orbital also offers space-related technical services to government agencies and develops and builds satellite-based transportation management systems for public transit agencies and private vehicle fleet operators. More information about Orbital can be found at http://www.orbital.com.